The North Luzon Renewable Energy Corp. (North Luzon Renewables), a subsidiary of AC Energy Holdings, provided the Municipality of Pagudpud Php3.9 million worth of materials recovery facility (MRF) equipment during the blessing of the Centralized Materials Recovery Facility (CMRF) in Pagudpud last April 23, 2015. The MRF equipment consisted of a bioreactor, styro/plastic shredder, organic waste shredder and plastic/styro densifier. 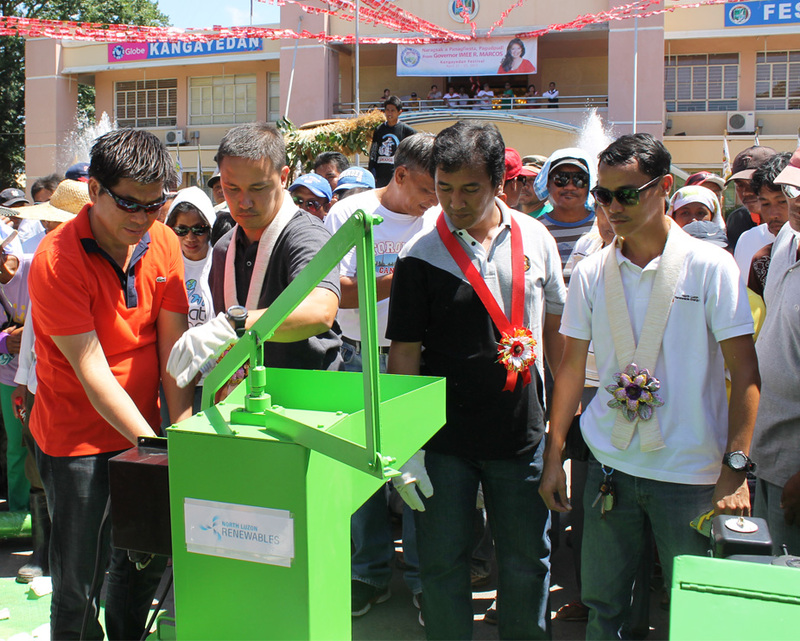 With the help of the MRF equipment provided by North Luzon Renewables, the Municipality of Pagudpud aims to further intensify its information and education campaign on waste segregation at the household level to maximize the use of the new CMRF. Present during the event were Governor Imee R. Marcos, North Luzon Renewables President Atty. Miguel De Jesus, Mayor Marlon Sales, Vice-Mayor Rex Benemerito, and the Sangguniang Bayan Members of Pagudpud. Farmers and farming associations from the different barangays of Pagudpud also attended. North Luzon Renewables remains committed to assisting its partner-communities towards sustainable development. It will continue to work closely with the provincial government of Ilocos Norte and its municipalities under its three-year Corporate Social Responsibility Program which started in 2014.